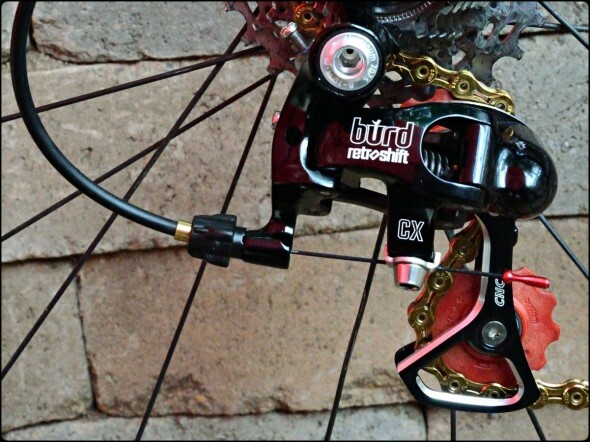 New for this ’cross season is the Retroshift ‘Blatantly Upgraded Rebranded Derailleur’ (B.U.R.D.). 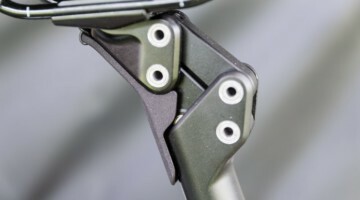 Retroshift manufactures shift/brake levers which were designed to perform under the sloppiest situations, and now the company has expanded its product line into rear derailleurs. The B.U.R.D. 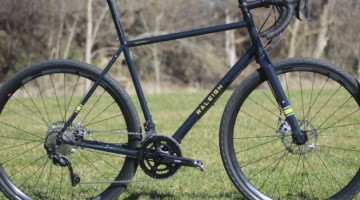 is what Retroshift’s Adam Clement calls “the ultimate cyclocross-specific derailleur.” It’s designed to work with Shimano or Retroshift shifters, but we’re confident innovative wrenchers will also be able to pair the Retroshift B.U.R.D. 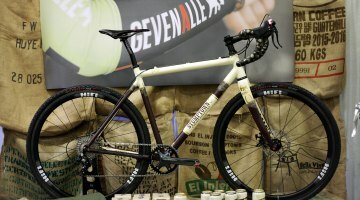 with Campagnolo shifters in a new take on Shimergo (Retrogo?). What makes the B.U.R.D. 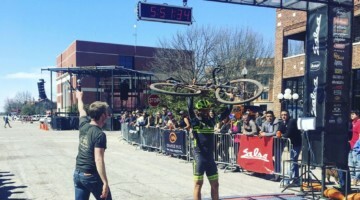 a cyclocross-specific derailleur? 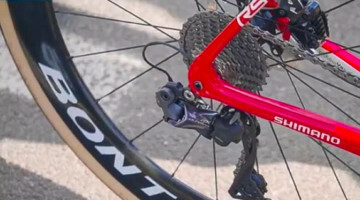 It’s not a SRAM Type 2 or Shimano Shadow-Plus-type derailleur with a clutch to prevent chain slap (although we saw this employed successfully on the 2013 Marin Cortina cyclocross bike). It doesn’t have a Grunge Guard or a steel plate to protect against side impact, and certainly won’t help you hop the barriers. 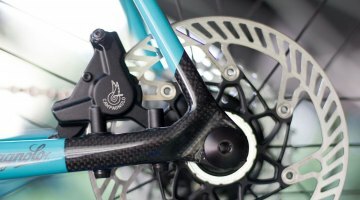 Instead, Retroshift is simply focusing on making an affordable, high-quality rear derailleur with strong spring tension and high quality pulleys that can easily be repaired or replaced when the inevitable happens. Standard units go for $69, crash replacement will get you going again for just $34. 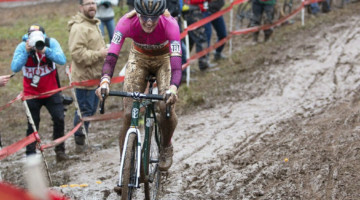 Unlike an office park criterium, a cyclocross course can fill your drivetrain with mud, grass and leaves, or a combination of them all. 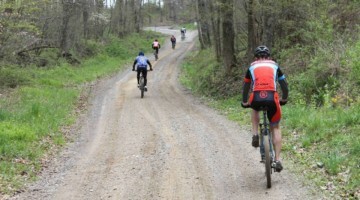 Try pedaling while a chunk of mud is stuck in your derailleur and you’ll very likely rip it from your dropout. 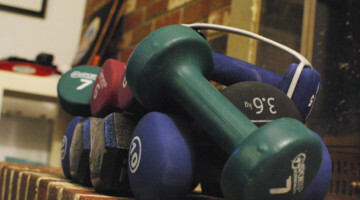 This is where the B.U.R.D. stretches its wings. It’s a combination of Shimano Ultegra pulleys built into an affordable, Microshift-manufactured derailleur body. We all know it’s only a matter of time before you hit the deck in a race, which means you’ve got a 50-50 chance of crash landing on your drive side. 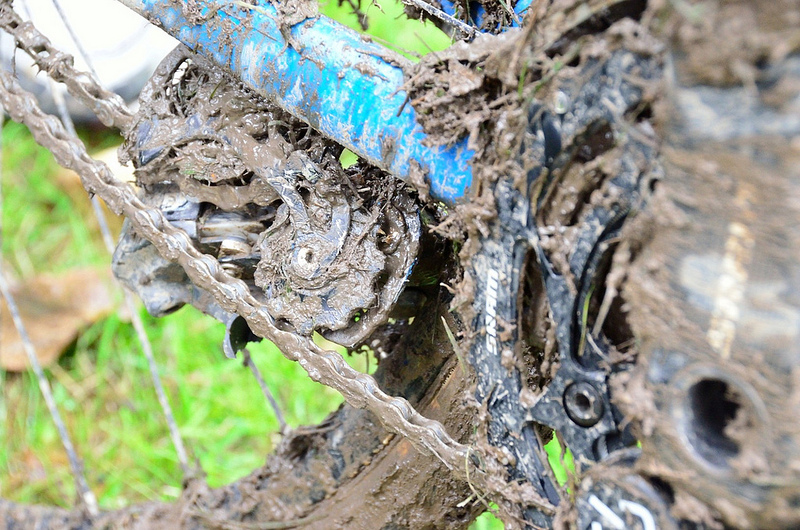 But even stellar bike-handling skills can’t keep grass, mud and other organic material from becoming tangled in your derailleur. For the same price of a single SRAM Force rear derailleur (MRSP $159.99), you could have a B.U.R.D. in each hand (MSRP $69). 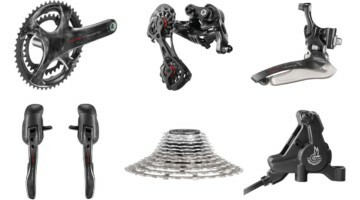 Compared to a Shimano Ultegra rear derailleur (MSRP $119.00), you could get a brand new B.U.R.D. plus a replacement if you crash. 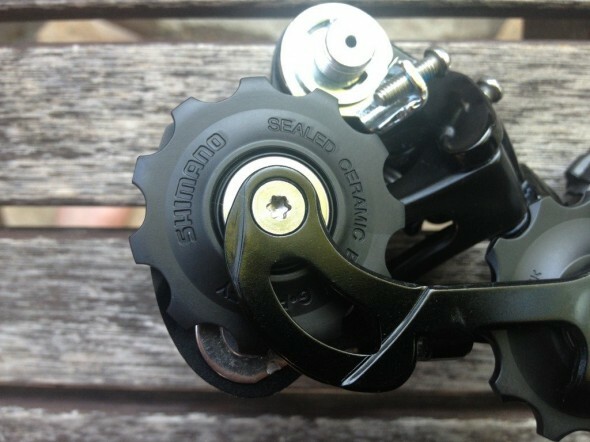 Crash replacement for SRAM is typically around 50% of MSRP, which means that for the cost of a single SRAM Force crash replacement derailleur, you can get two B.U.R.D.s rebuilt. 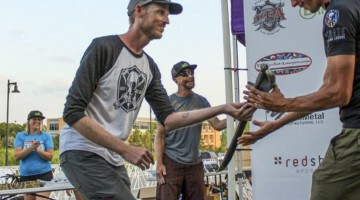 Retroshift places their emphasis on the importance of derailleur pulleys for good shifting and durability, and swaps the standard Microshift pulleys for Ultegra pulleys. 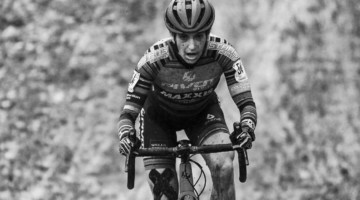 Destroy your derailleur? 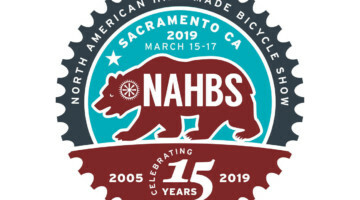 Your originals will be transplanted into a new body as part of the crash replacement, keeping the heart and soul of your old derailleur with you even after death. Microshift + Shimano Ultegra pulleys = Retroshift B.U.R.D. 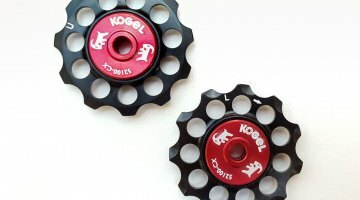 What’s the big deal with Ultegra pulleys? Clement explains, “The difference in performance of pulleys between 105 and Ultegra and Dura-Ace, for example, is greater than the performance gains of the main body.” His theory, based on seeing countless broken derailleurs at Portland’s Cross Crusade series, is that derailleurs typically break not due to crashes but when the pulleys can’t keep up with the chain and jams. “Pulley health won’t cause a death by itself but a stiff pulley will contribute greatly,” he theorizes. 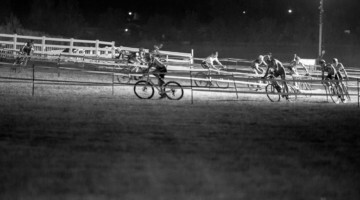 Expanding on that theory, the company plans to offer an upgraded version for racers who want to go higher-end. For $20 more, Retroshift plans to offer a second model with FSA ceramic pulleys. FSA ceramic bearing pulleys push the price to $89, with the same $34 crash replacement policy. interesting. 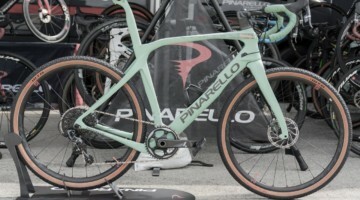 the article doesn’t mention whether it’s only compatible with the retroshift shifters or if they’ll work with SRAM/shimano. 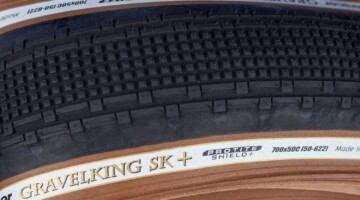 And, as I found out, crash replacement for Shimano 105 is..wait for it..100% MSRP. Is there a chain brand it’s most happy with? Mal Burd You need this. so what your saying is a burd in the hand is worth two in the bush? I’ve never had to pay for crash replacement of SRAM, just saying. 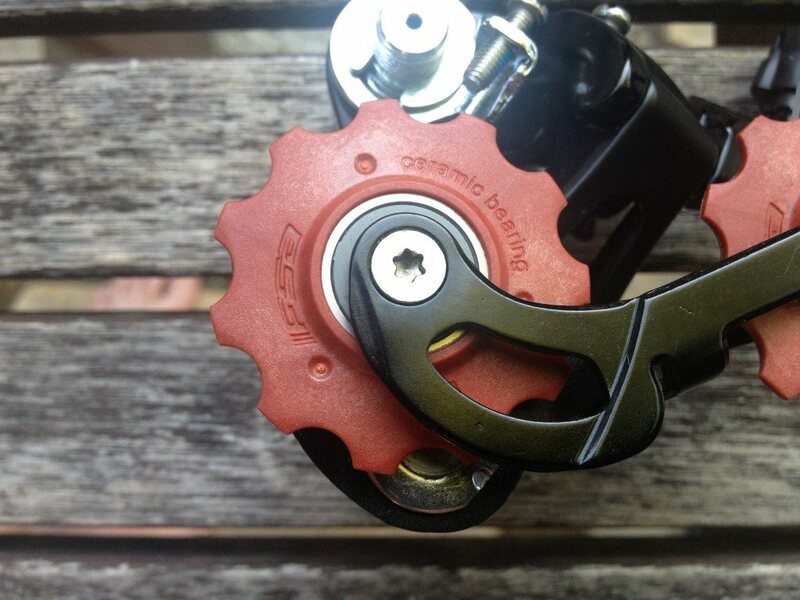 SRAM shifters aren’t compatible with Shimano derailleurs (and vice-versa). The cable pull is different and you won’t be able to get them to index properly. Some gears will work, others won’t. I love my Retroshift single ring set-up. 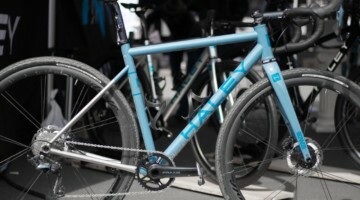 I’ll definitely get one of these burds next time I trash a rear derailleur like I did last cross season. Nice, but how well does it shift? 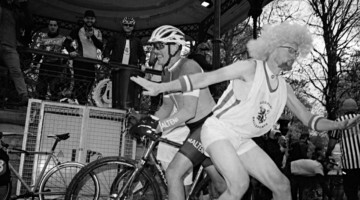 Well, I’d sell my bent ultegra online too, if I weren’t such an honorable person. eBay drive parts…mmm…too risky imho. I’ve bought plenty of good (read unbent) drive parts from eBay. @patrickbeeson we’re anxious to find out, but it was just unveiled so no test yet. soon! Han, cable pull rates vary, so not SRAM compatible. Unless you have old Shimano compatible SRAM Gripshifters! The pulleys don’t look like the ones MicroSHIFT Equinox Cycling Team uses. which was unbadged in the first place. 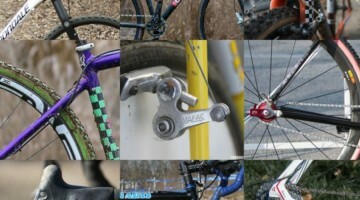 so it’s an unbadged unbadged derailleur?? Joshua Geiszler, clearly made by Microshift, and they say that, but it’s not 100% the same, as the article says, due to pulley changes, FWIW. Sorry, I prefer to match Campy with Campy. Yeah, I should read the whole article before I say anything! I can attest that Microshift derailleurs are extremely durable though! @patrickbeeson The model we are using was tested over the course of last race season and test units have also been ridden/commuted continually. We will get a unit to CX Magazine ASAP for their testing. I bought an XX1 style chainring from a company in the UK. It fits a 104 mm crank. It works beautifully, 4 hard CX rides without chain keeper and no dropped chain. 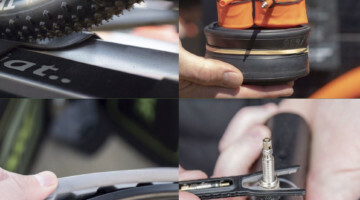 Best thing since clip less pedals! The largest is 38 teeth right now. I don’t get how this is better in the mud. The stronger spring? Does that make it less liable to catch on the cassette and rip off? 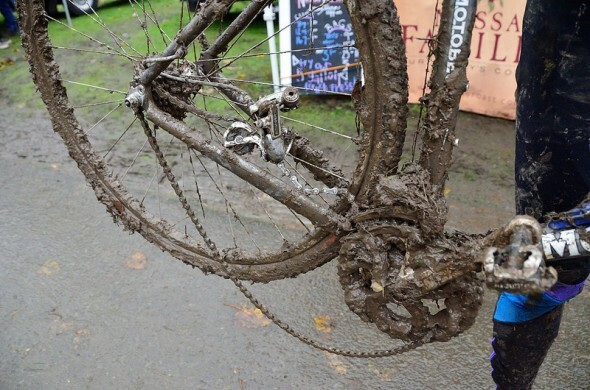 Excellent…Wolf chainring. I knew it was a matter of time before someone did 110BC. I also like your derailleur idea, I destroyed two in one weekend once. BURD is Shimano compatible. 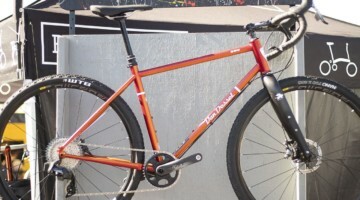 Will work with Shimano and Retroshift shifters. 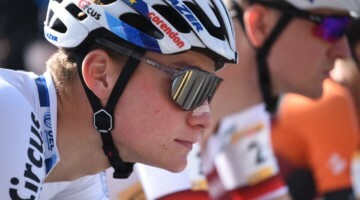 Will not work with SRAM. CON – After freight costs & lead time for “repairs” you might as well just buy a new mech.